Seriously, what do I need to say about Blood. This game's been in my life for ten years. It introduced me to Evil Dead. I've written almost 200,000 words of collective fiction in this universe. I'm so immersed, that I'm mentioned on the Wikipedia page for it (it's true, check it out!). 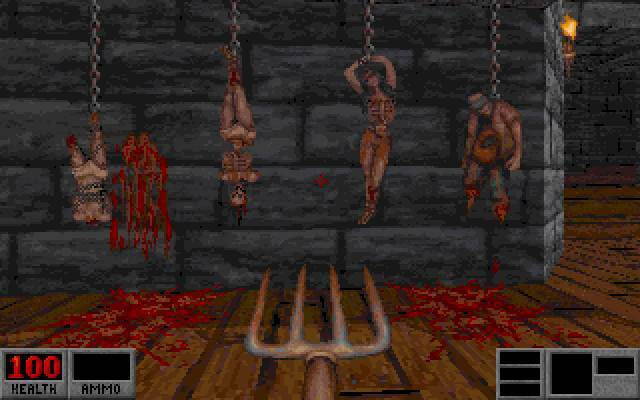 Well, for starters most things I have to say about this game can be found in my interview from the Blood Wiki. There you can see how I discovered Blood, my role in the Blood Community, and the relation between the Blood Universe and my fan fiction. One of the things I forgot to mention in the interview is that I started writing Blood: I Live Again before I had the full game. Because I'm a cheapass, and shareware is good enough for me. I eventually decided "well, if I'm writing a frickin' novel about the game, I should probably own the full version. I should see what happens, if anything contradicts anything I'm writing." Not much did. 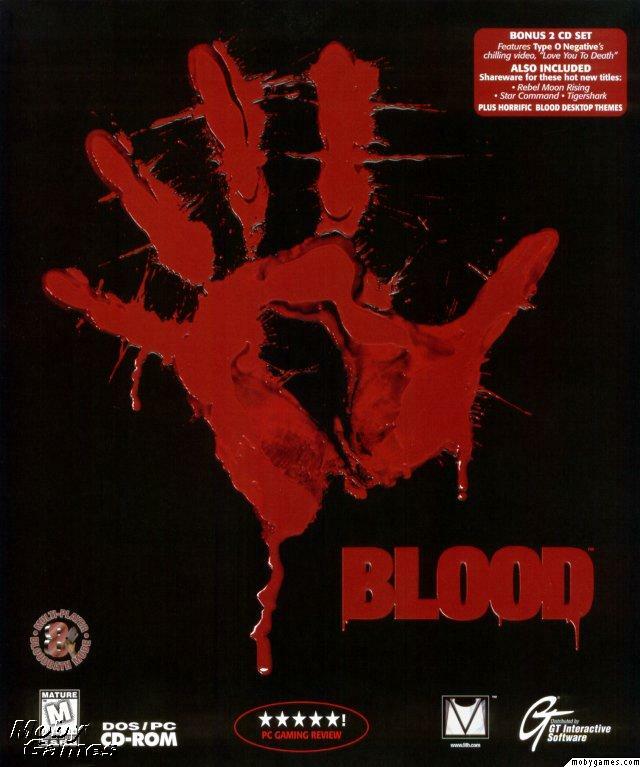 I was surprised that at the time I got the full version, Blood II was already in the works. Only a year after the original's release. I forgot how fast games advanced in those days. At first I thought "Well, damn, everything in Blood II is going to contradict my story." But it really didn't, and I ended up putting an easter egg about it at the end. 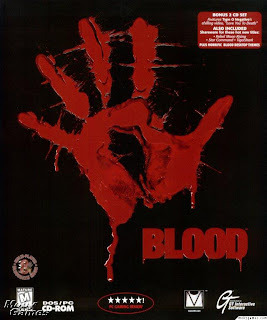 Blood II also provided inspiration for a lot of plot elements in Blood II: The Unforgiven, but we're talking about the first, the greatest. What attracts me to Blood? Well, it's an immersive game. The shotgun blast feels like a shotgun blast. The jump feels like a jump. At no time is the game frustrating or buggy, and it's loaded with lots of atmosphere, character, and places that feel like places. But more than that, everything has style - from Caleb's quips to the monk temple high above the clouds. This is a place you wouldn't mind being (as long as you had a weapon). It's dark and dreary and everything an angsty teenager needs. I loved this game so much I bought two versions. The original full version I bought, and then One Unit Whole Blood, which has the game, the two expansion paks, and a video walkthrough CD-ROM. Obviously, I didn't need the walkthrough, and its virtually useless. It's hosted by this really bad Vampira wanna-be. I wonder what she's doing now. But at least I learned how to pronounce Tchernobog. Blood was significant in my life the way that Mortal Kombat was before, like Teenage Mutant Ninja Turtles and Ghostbusters before them. Its legend took me from 1997 to 2002-ish. It just feels like *my* game. My signature game. I'm sure it will continue to influence me for some time.